The Bella includes a tasteful square-panelled headboard finished in white faux leather. 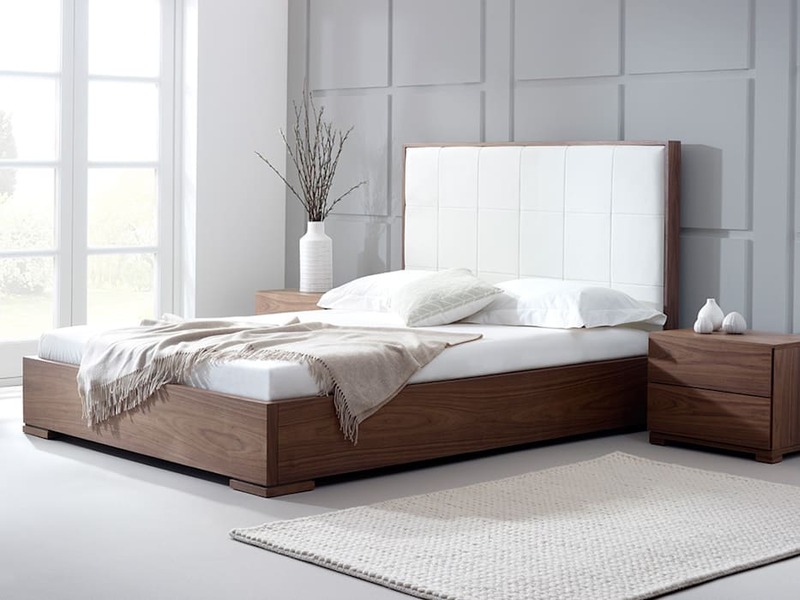 The natural walnut veneer frame provides a contrast to the headboard of this great modern bed. Sprung-slats provide maximum comfort and durability and the optional underbed storage can save space in your bedroom.